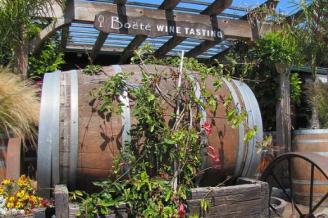 Boete Winery is a Boutique family winery specializing in 100% estate-grown Carmel Valley Cabernets: Cabernet Sauvignon, Cabernet Franc & our signature blend, Cheval Rouge. Tasting Room opened daily from noon to 5:00pm. Flash Your Badge and receive a 2 for 1 Wine Tasting and 10% off Wine Purchase!